It's Time To Stop Violence Against Women. Together. 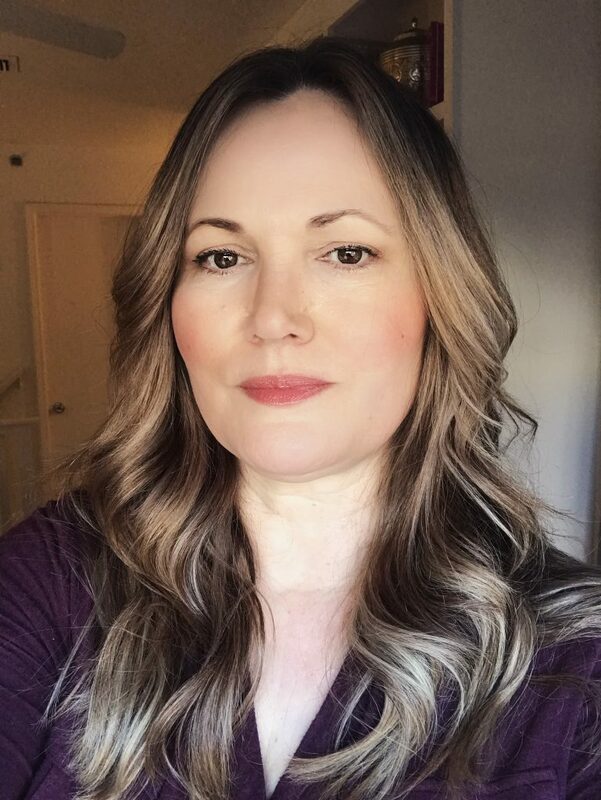 Welcome to part one of our March 2019 Inspirational Interview with Dawn Wilcox, founder of Women Count USA. Dawn Wilcox is a domestic violence survivor, activist and educator. She founded Women Count USA in 2017 to create a national database and femicide census of all women and girls murdered by men in the United States. She also teaches others how to identify and challenge misogynistic, victim-blaming media narratives of domestic violence and murders of women. Dawn holds a Bachelor of Science in Nursing from Texas Woman’s University and has been a registered nurse for 23 years. She lives near Dallas, Texas. Part 2 of the interview will be published Monday, April 1, 2019. All pictures courtesy of Dawn Wilcox. 1. How and why did you join the movement to end violence against women? I have been educating myself about violence against women in various forms – especially domestic violence – since the late 1980s. After decades of informally advocating and educating about this important and often ignored issue, I founded Women Count USA as a way to challenge and document lethal male violence against women and girls. 2. How and why did you get start building the Women Count USA database? In 2015 and 2016, I noticed a couple of high-profile cases of animals killed by hunters or zookeepers which received widespread national attention. I also noticed the murders of women I saw reported on a daily basis never merited the same sort of speeches, protests, and outrage. I began researching how many women were killed by men each year and found questionable statistics, so I decided to start counting. 3. What are the patterns in femicide in the U.S. that you are seeing as the Women Count USA database grows, and are there any surprising ones? My data collection supports what we already know – most femicides are committed by current or former intimate partners. However, other trusted family members such as fathers, sons, grandsons, etc. are responsible for many of the murders I’ve documented. Almost 70% of the women were killed with a firearm, and several by a man who was prohibited from possessing or owning one. I notice murder-suicides, family annihilations and mass shootings, which are anchored in domestic violence, are prevalent. Probably the most disturbing pattern I see is when men kill women, the methods used are particularly brutal and vicious. 4. Over the last decade, there has slowly been a growing number of individual anti-violence against women activists or grassroots groups such as yourself, Karen Ingala Smith (United Kingdom), and Annita Lucchesi (North America – murdered and missing Indigenous/Native women) who started databases tracking the number of women in your respective geographical regions or communities who have been killed (or injured) by gender-based violence. What sort of impact do you hope your database – and all the other databases – will have on efforts to tackle violence against women and support victims and survivors? I hope these databases foster awareness and caring about male violence against women. Apathy and misinformation about this devastating issue – particularly as concerns domestic violence homicide – is widespread. Domestic violence advocates do the same teaching and activism year after year and few men seem to get involved in changing an issue which ultimately can only be changed by them, because male violence is men’s problem to fix. I want to remind people each one of these women was not merely a statistic. Additionally, I hope this information will be used to hold lawmakers, law enforcement and courts accountable. Women who do involve police and ask, often repeatedly, for help are still losing their lives to men who have been court-ordered to stay away. I have documented women who were killed by men wearing ankle bracelets or who were on GPS monitoring. One particularly heartbreaking case involved a woman who was killed, and police found a copy of her protective order in her pocket. 5. You connected with Karen Ingala Smith after you started Women Count USA, and she said she didn’t know how you do it because of the much larger population size of the U.S. compared to the U.K. Can you tell us about the challenges of creating and managing the Women Count database? 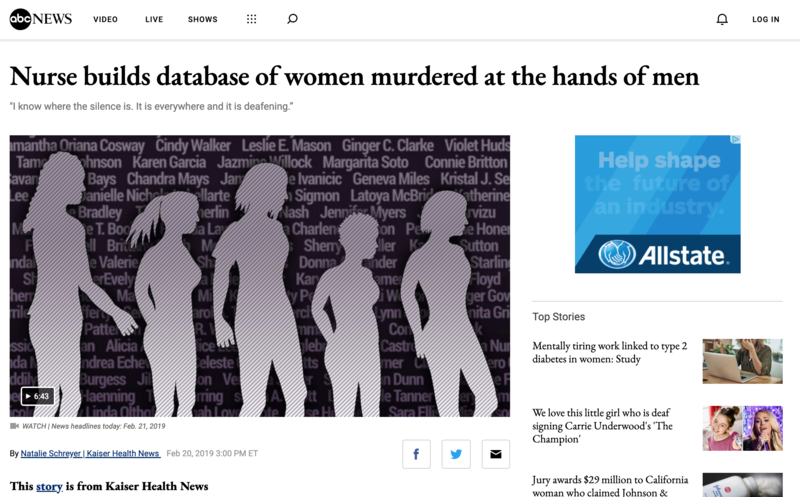 Researching and documenting women murdered by men in the U.S. is challenging, not only due to population size, but also due to the easy availability of firearms, divisions among law enforcement entities and secrecy surrounding police information. I mostly know about a case if a journalist decides it is important enough to write about. The information I catalogue is not always readily available. This work also requires mental and emotional strength and self-care.